Make a difference one step at a time! 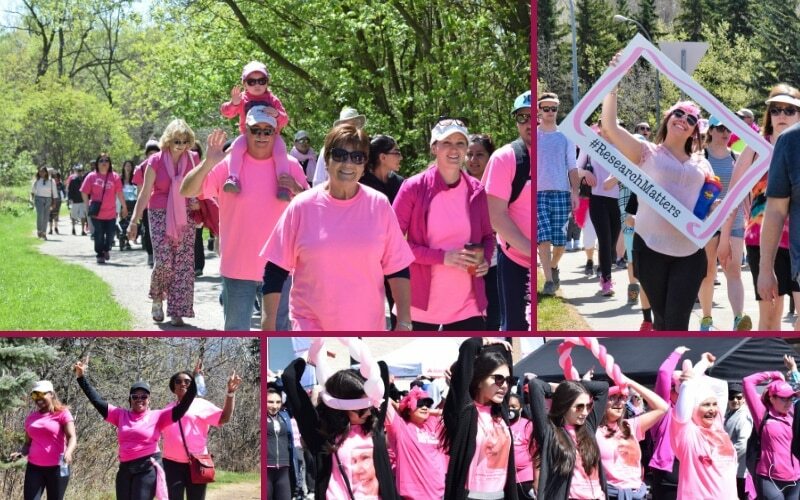 Our annual Mother’s Day Walk in May, is a cherished part of the Breast Cancer Society of Canada’s history. The first Mother’s Day Walk was held on Sunday, May 12th 1991. That day, Pam walked alongside her family and friends to raise funds for breast cancer research. They raised $2,000 that year! Sadly, Pam passed away the following March, making that first Mother’s Day walk the only event she would attend. Determined more than ever by their passion to end this disease, her family and friends have continued to devote themselves to her legacy. Pam’s legacy to fund breast cancer research is saving lives. Help realize the family’s hope for a cure one-step at a time! Register to walk or run! All our walks are 5K in length. Register Now: you can help fund life-saving breast cancer research. Get started today, find out how you can help make a difference. As a Volunteer, you are a key member of the BCSC team. To ensure we’re providing the best possible experience for our volunteers, we have adopted The Canadian Code for Volunteer Involvement. Volunteers are the Mother’s Day Walk’s most important resource. Our Volunteers make a positive and lasting impact in the lives of those living with and surviving breast cancer by working with us on meaningful assignments such as the Mother’s Day Walk. The Breast Cancer Society of Canada is committed to engaging volunteers in effective, productive and meaningful assignments. Even just a few hours of your time makes a difference in the fight against breast cancer. To learn more about volunteering for the Mother’s Day Walk visit our registration site and sign up today. For specific questions or to speak to someone directly please, email or call Dawn Hamilton at 519-336-0746 or toll-free 1-800-567-8767. 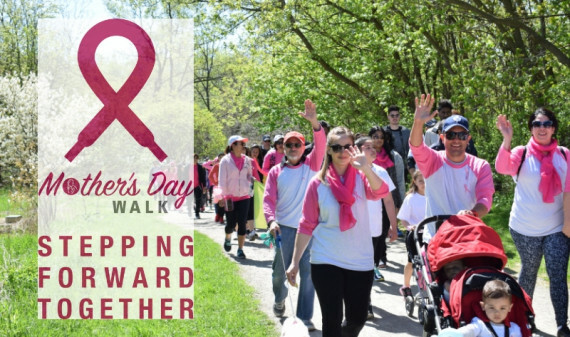 You can sponsor Mother’s Day Walks in cities across Canada or become a National Sponsor. There are many ways to demonstrate your organization’s commitment, including having your corporate team walk, volunteering on the day of, or by giving your product(s) a presence at the event.